Don't remember your Quote Number? Provide the Email associated with the quote you saved and we will send you a link to access your quote. Don't remember your Policy Number? Provide the Email associated with the purchased policy and we will send you an email containing a link to access your policy. To receive an event coverage price quote please call us at 888-882-5902. Please try searching by another Email Address and/or Quote Number. If you are unable to find what you are looking for, feel free to call at 888-882-5902. Please try searching by another Email Address and/or Policy Number. 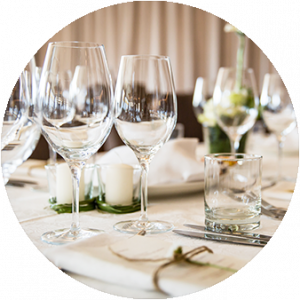 Planning special events can be exciting and unpredictable! Be proactive in making your event a success and purchase event insurance with Eventsured. Save time and money with our easy-to-use online application. Less time to worry and more time to enjoy! Call or email us with any questions and let our representatives walk you through the process. The website and all business transactions are regularly tested for any threats that could compromise security. It is our duty to ensure privacy using up-to-date security standards. 10% commission given to brokers working with clients. Eventsured is backed by the Chubb Group, the world’s largest publicly traded property and personal accident insurer. If there is an event, we’ll cover it. Ask us for special pricing if you don’t see your event listed. Customize your coverage to fit every nuance of your event. Our online quote calculator will allow you to view pricing instantly and purchase coverage in under 10 minutes! The policy holder is responsible for $0 in the event of a claim. In the event of a claim at your event, we will be ready to assist you! Notify us immediately and a claims representative will be appointed to you. Though sometimes confusing, event insurance is a necessary safeguard for planners looking to keep themselves and their clients out of court. What is Special Event Insurance? Event planners are often puzzled over whether to purchase event insurance, and if they do, exactly what they need to insure. Whether it’s an intimate cocktail party or a black-tie benefit, an indoor or outdoor event, a passive or interactive experience, some things are always out of your control. The Balance Small Business dug deep into the insurance arena to clarify what event insurance is needed, who needs it, what it covers, and how to get it.